This is a word the weight watchers would actually hate to hear. But for many they are pleasurable and some inevitable. I have always seen my clients come back and tell me that they put on weight when they usually eat out. I do not agree with them completely. Yes there is definitely fatter present in the restaurant food than home. 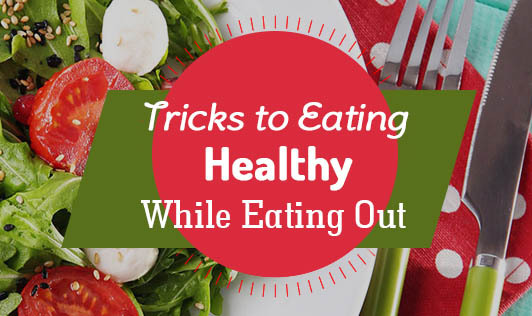 It's also the healthy food choices that you need to make for the food to not show on the tummy. Here are a few examples at certain restaurants that you do to make your meal options healthy. * Have idlis with sambar other than the chutneys. * Do not top it up with the vada. Keep the meal simple. * Ask for the dosas or utappams with less oil or to be made without oil. * Do not indulge in the yummy pooris. * Khara bath can be a good option unless they are very oily. * Start your meal with a clear soup; do not indulge in creamy soups. * Reduce the portion size of the starters that you consume. * Eat steamed rice, noodles instead of fried rice, noodles. * Request the chef or when you place an order to cook your food with minimum oil. * Check on the method of preparation of the food, check if he vegetables or meat is fried in oil before adding it into the gravy. So that you can have smaller portions of it as your share if not avoid it. * Grilled kebabs are a healthier option than fried kebabs. * Opt for the tandoor rotis instead of the paratas with excess oil/butter. * Select simple gravies instead of the makani (butter) gravies. * Opt for the tomato based gravies and dishes instead of the cream based gravies. * Sandwiches are always a better option than the Vada pav.
" Check out the next time when you eat out and remember these"